You'll be £12.00 closer to your next £10.00 credit when you purchase ShipCraft 1: German Pocket Battleships. What's this? Order within the next 8 hours, 13 minutes to get your order processed the next working day! The 'ShipCraft' series provides in-depth information about building and modifying model kits of famous warship types. Lavishly illustrated, each book takes the modeller through a brief history of the subject class, using scale plans to highlight differences between sisterships and changes in their appearance over their careers, then moves to an extensive photographic survey of either a high-quality model or a surviving example of the ship. Hints on building the model, and on modifying and improving the basic kit, are followed by a section on paint schemes and camouflage, featuring numerous colour profiles and highly-detailed line drawings. The strengths and weaknesses of available kits of the ships are reviewed, and the book concludes with a section on research references - books, monographs, large-scale plans and relevant websites. For the first volume in this series, the author has chosen the German 'pocket battleships' of WW2, the best-known of which was the Graf Spee of Battle of the River Plate fame. This innovative and infamous class of surface raiders has long been a popular subject for ship modellers, many manufacturers producing kits of the Graf Spee and the rather different Admiral Scheer and Lützow. This book will show ship modellers how to turn their kits into something really special, but its unparalleled level of visual information will also appeal to the more general warship enthusiast. 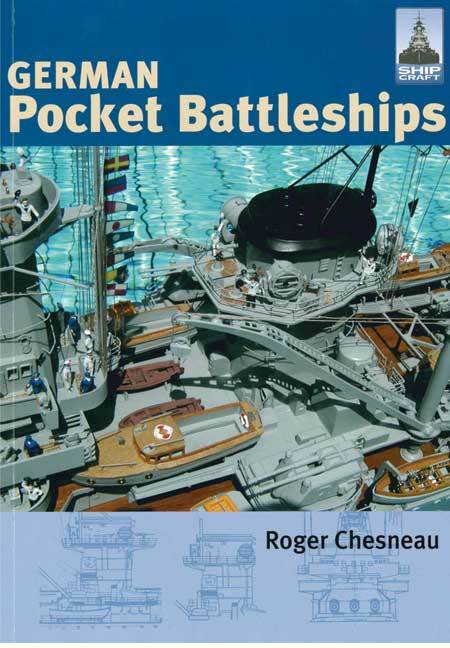 Roger Chesneau is a lifelong ship modeller and author of numerous naval books, including Ship Models in Plastic. Roger Chesneau is a lifelong ship modeller and author of numerous naval books, including Ship Models in Plastic and Yorktown Class Aircraft Carriers.